Now that we’re almost mid-way through 2018, it’s time we start targeting 2nd half of the year phone launches from the big players in the game that actually matter. Samsung remains one of those and their next Galaxy Note phone might be less than two months from a reveal. 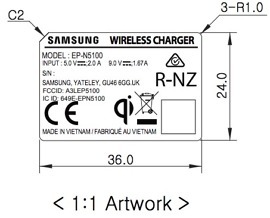 Assumed to be called the Galaxy Note 9, a notorious leaker may have just outed its battery size just as a new, faster wireless charger from Samsung hit the FCC. Leaker Ice universe took to Twitter late last night to suggest that he is “100% sure” the Galaxy Note 9 will have a 4000mAh battery. While that’s no confirmation, it is big news if true. The Galaxy Note 7 featured a 3500mAh battery (that exploded) and the Note 8 dropped down to 3300mAh, likely as a precautionary change. A jump up to 4000mAh could mean hours of additional battery life. 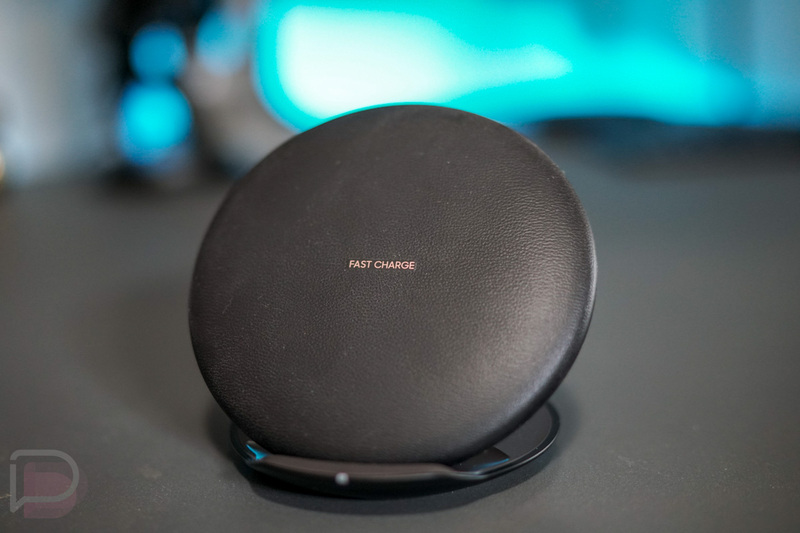 On a related note, that bigger 4000mAh battery may be charged quickly when wired or when dropped on a wireless charging pad, though that wouldn’t surprise us. 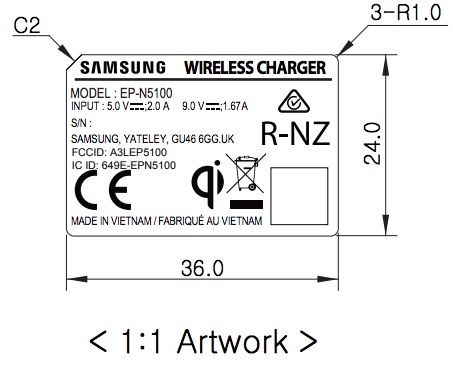 However, this may be one of Samsung’s fastest wireless charging phones yet. 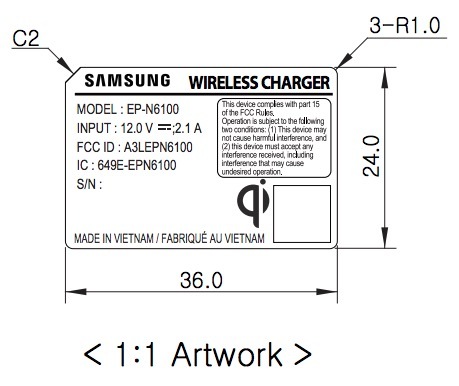 I say that because a new Samsung fast wireless charger stopped off at the FCC today with an input of 12V/2.1A. The device carries a model number of EP-N6100. 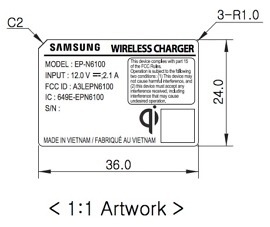 The previous generation wireless charger, in case you were curious, was model EP-N5100. That slightly older version was capable of 5V/2A and 9V/1.67A. You can see the two labels for each below. While I still think wireless charging is a bonus feature, not a necessity, if it can get faster, that begins to change some of that narrative. The problem with wireless charging today is that even in a “fast” sense, it’s not that fast. A wired connection is almost always going to be faster. But, with this level of current, that’s changing a bit. The Galaxy Note 9 is currently rumored to arrive on August 9. It probably looks like this.